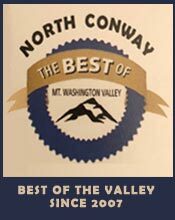 2018 is our 12th year providing informative, entertaining, and fun night time MOOSE Tours in North Conway. Gained has been the experience and joy of having MOOSE seen on nearly 1100 of our tours. In 2017 we saw moose on our very first tour in May and we saw moose on our very last tour in October. In between, in 2017, we enjoyed a 94% success rate seeing moose the majority of the season. We look forward to making many more people happy in 2018. We update our Facebook page often. Check it out directly from here. 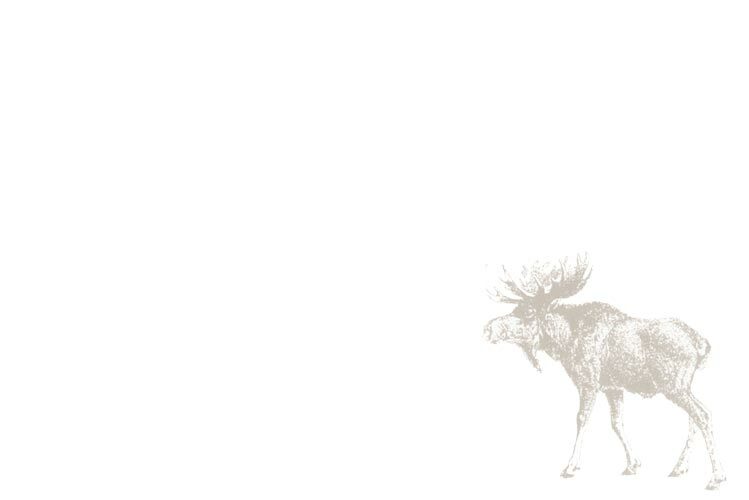 So you're invited to make a reservation then ride on our 3 1/2 plus or minus hour night time MOOSE Tour. We run a partial schedule late May into October. We are a 2013 hru 2017 Certificate of Excellence Winner from TripAdvisor. We have a great reputation at lodging front desks throughout North Conway's Mount Washington Valley. Ask any of them. From the Train Station departure time is usually about 8:00PM to 8:30PM throughout our season, yet can vary. So please, when making your reservation confirm the time you are to meet the bus so you don't arrive at the station too early..
To start the MOOSE Tour an informative movie about New Hampshire MOOSE is shown. Most find it to be excellent. Some nights an actual MOOSE is seen while the movie is playing. That makes for a good night for all and takes the pressure off the driver early! At some point there's a bathroom stop where refreshments are available then the tour continues. Between MOOSE "hot spots" DVDs are played, including a slide show of HD photos featuring the Shaw Brothers song "New Hampshire Naturally" . The night also offers a 10 minute slide show of MOOSE photos taken on this Tour over the years. This slideshow includes a few fun MOOSE tunes being played too. And many nights a short Black Bear video is played for entertainment too. The night typically ends with another 30 minute DVD about MOOSE as the bus returns to North Conway. We have a darn good success rate because we have over 3000 hours driving in "MOOSE Country" seeking MOOSE. We are able to seek, see and view MOOSE after dark because our MOOSE bus is allowed to use floodlights and spot lights to seek and see MOOSE at night. It's attempted to have this adventure enjoyable to MOOSE seekers of all ages, children and adults. Most will agree it is. Everyone is invited to disembark the bus when possible and getting off the bus is most common in the summer months. We update our Facebook Page often. Check it out directly from here. 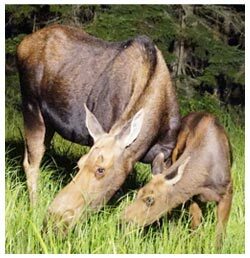 Please know the MOOSE we seek to see at night are wild animals and are unpredictable. On every tour we put our experience to work and try our best in the time allowed to have everyone return having seen MOOSE. On every tour it's attempted for all aboard to have an informative, fun, enjoyable and safe experience... and return saying "We saw MOOSE!" So make plans to have this night time MOOSE tour be part of your North Conway White Mountains vacation experience and enjoy a night of MOOSE entertainment. and that makes every tour different. and enjoy a night of MOOSE entertainment! Visit our Comments Page for More! 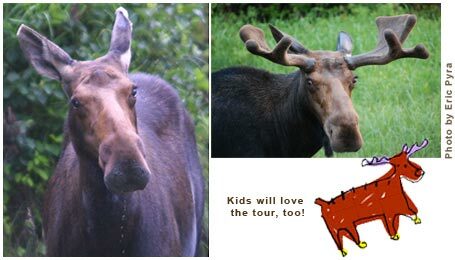 Moose Safari Moose Tour on Facebook!